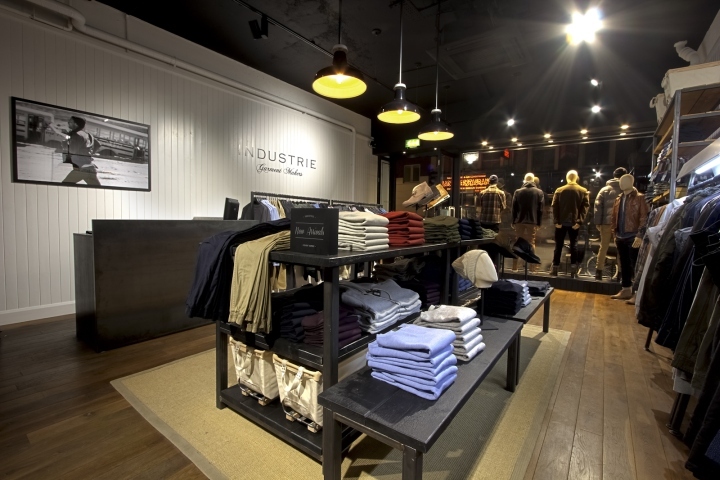 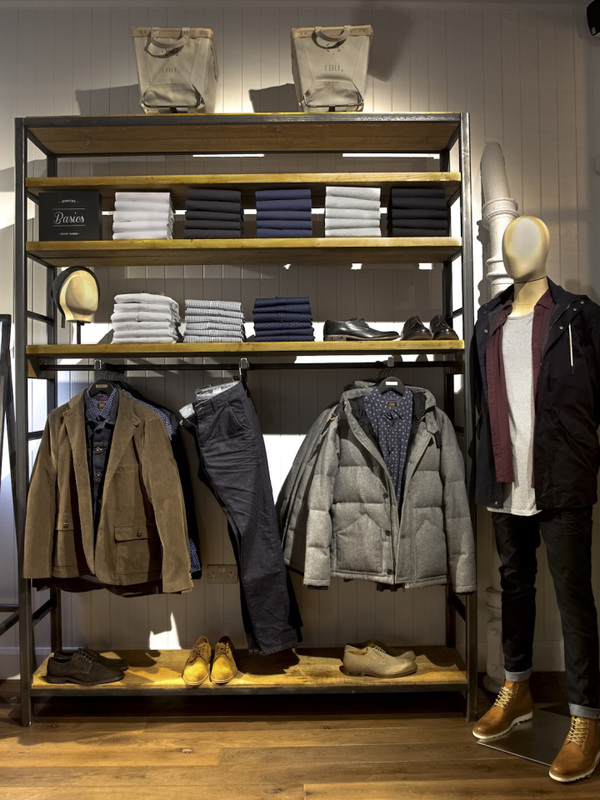 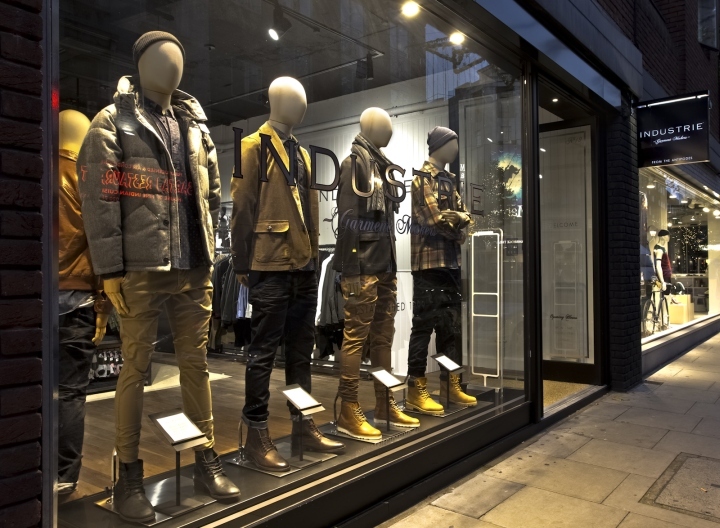 Australian clothing institution Industrie, founded in 1999, and with over 70 stores throughout Australia brought their brand to the UK market in 2013. 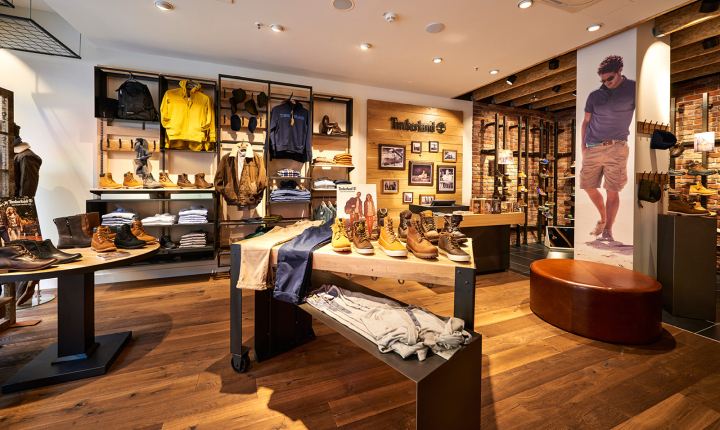 Popstore undertook the design and build, and, being their first store outside of Australia, located in Covent Garden, our goal was to wholeheartedly encompass the ethos of the brand – their focus is on producing modern, practical and instinctively masculine clothing for every man. 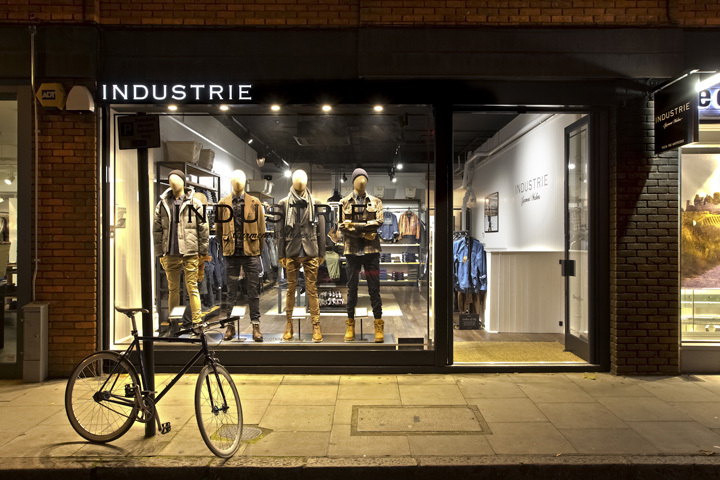 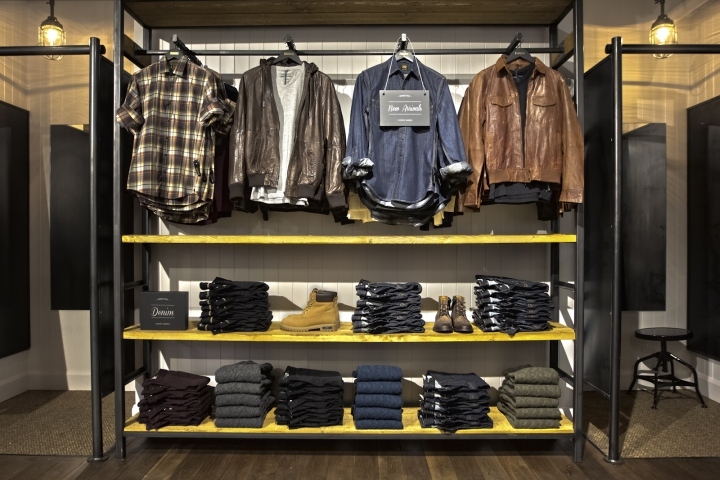 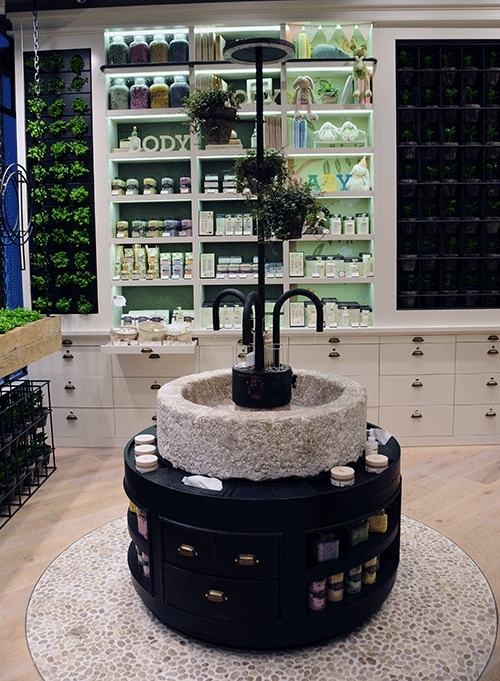 Reflecting the brand’s identity, an Industrial core runs throughout the design of the store. 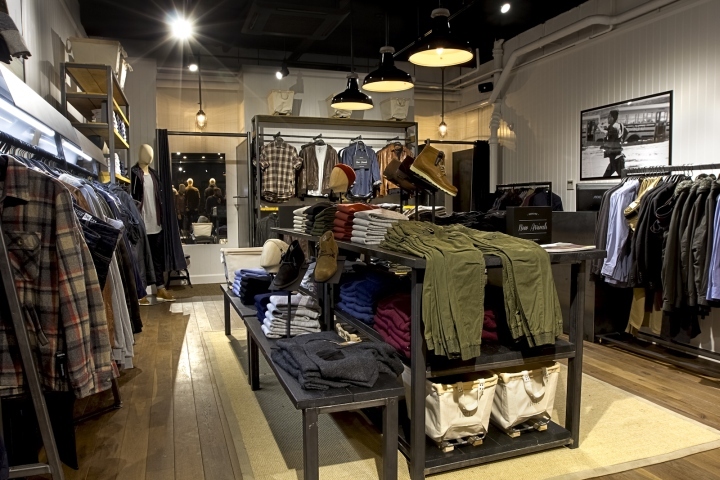 Reclaimed timber flooring sits against whitewashed tongue and groove walling that reaches up to an exposed ceiling. 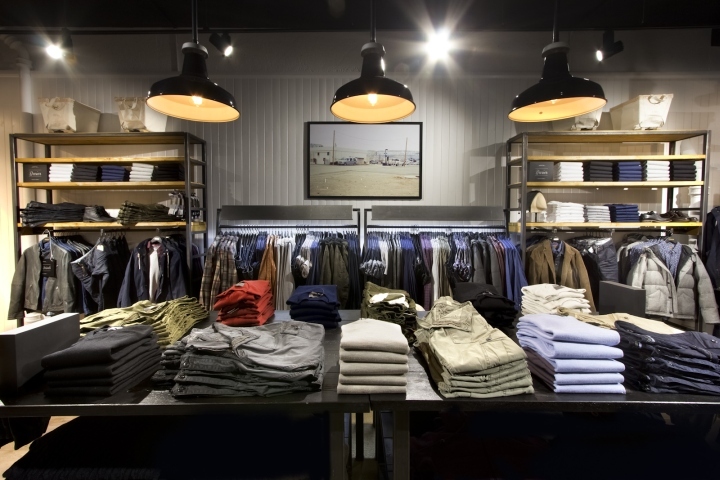 Industrial lighting pendants hang down over the specially designed display units. 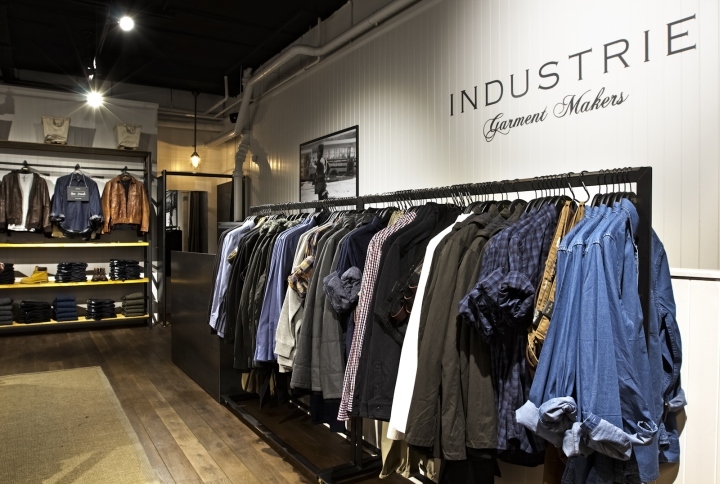 Fixtures made from hot rolled steel sit with both raw and black stained timber, while the vintage white acts to further enhance the industrial aesthetic, topped with clean lines and precision throughout the store. 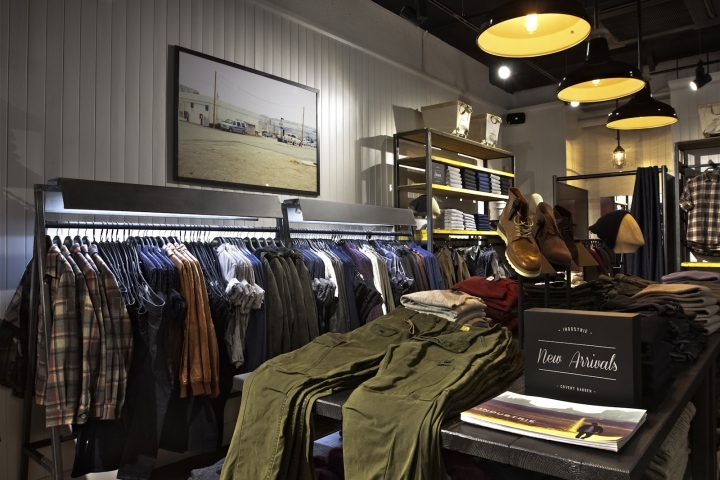 Canvas crates and woven grass matting give the store additional textures that soften the lines of the wooden floor and give warmth to the industrial styled unit.